Surprisingly, FIU is one of a few schools in the whole country to not have any public commitments as of the time of this post. From what I'm seeing, only two C-USA schools don't have any public commitments: FIU and UTEP. Now, I'm not overly concerned, but it would be nice to start seeing some commitments made to FIU. This is especially true with the early signing period available this year. That being said, I trust Butch and his staff. It's possible they are targeting bigger fish this year, who are harder to reel in. 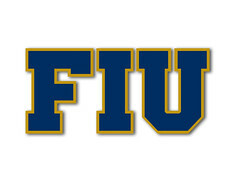 I have reason to believe this will be FIU's best recruiting class in the program's history. 2 ) Jeremiah Salaam: S - Frostproof, FL --> 247 Sports lists as top target. 3 ) Keyon Helton: S - Pensacola, FL --> 247 Sports lists as top target. 4 ) Tayland Humphrey: DT - Hutchinson, KS --> One could infer FIU is in his top two. 4-star recruit. There is another thread on him. 5 ) John Bolding: OG - Spring, TX --> Brother of Tayland. They want to play college ball together. One could infer FIU is in his top two. 6 ) Travon King: DE/TE - Camden, NJ --> He lists FIU in his top 8. 7 ) Tyquan Thornton: WR - Miami, FL --> Explosive WR with some solid offers. Followed by multiple members of the coaching staff on Twitter. 8 ) Jordan Dillard: WR - Miami, FL --> Lengthy WR likely overshadowed at Southridge. Recently decommitted from Toledo not long after an FIU offer. 9 ) Donovan Georges: LB - Hialeah, FL --> Mentioned in an interview w/ Scout that FIU is pursuing him hard. 10) Ivan Thomas: WR/TE - Miami, FL --> Saw on Twitter he was on campus meeting with Butch a couple of weeks ago. 11) Caleb Lynum: QB - Leesburg, FL --> Saw on Twitter he also visited campus and met with the coaching staff. I'm obviously missing a lot of other targets, but have reason to believe the guys listed above are definite targets for the 2018 class. I think it would be interesting to keep this thread going when additional information comes in, as we did last year. If y'all have anything to add, please share it here. I would like to see the surprises that would come out in December. Pretty exciting times, I would say. The fact we are now flirting with 4 stars makes me believe that there is a brighter future. Good stuff, 'Building. Should be a fun recruiting cycle. Thanks for putting that first list together. According to scout Eyabi Anoma has legit FIU interest too. Thanks for sharing. I don't have access to Scout premium content. Can anyone tell me what the video or article says? Is FIU pursuing him or does he like FIU? I don't even see anywhere that he even has an FIU offer (including Scout). I'm not questioning his talent, but rather his interest in FIU. He is a highly coveted player. Butch is a DE guru, so I would not be surprised if we get this one. Scout is rarely correct about anything. That's all. I wouldn't read too much into the article. Kids commit and decommit all the time, so not having one right now is not an issue. Now, if we dont have one by signing day? That's a different story. Apparently we can add Kevin Doyle, QB - Washington D.C, to the list. 247 Sports has Doyle listed as a top target (still not sure how they determine this, anyone know?). Doyle is a consensus 3-star QB, although ESPN grades him with a rating of 80 (4-stars). Coach Vollono seems to be in charge of recruiting the DC area. Let's see who he can land. Mayes is a consensus 3-star DE from Northwestern. We'll see if FIU can steal Mayes away from UCF.